We investigated a signal of solid organ transplant (SOT) rejection after immunisation with (AS03) A/H1N1 2009 pandemic influenza vaccines. Potential immunological mechanisms were reviewed and quantitative analyses were conducted. The feasibility of pharmacoepidemiological studies was explored. Overall results, including data from a pharmacoepidemiological study, support the safety of adjuvanted (AS03) pandemic influenza vaccination in SOT recipients. The regulatory commitment to evaluate the signal through a stepwise investigation was closed in 2014. Lessons learned highlight the importance of investigating plausible biological mechanisms between vaccines and potentially associated adverse outcomes, and the importance of selecting appropriate study settings and designs for safety signal investigations. The online version of this article (doi: 10.1007/s40264-017-0532-3) contains supplementary material, which is available to authorized users. A stepwise multi-disciplinary investigation assessed a safety signal of solid organ transplant (SOT) rejection after immunisation with adjuvanted (AS03) A/H1N1 2009 pandemic vaccines. Based on the overall findings supporting an acceptable safety profile in transplanted patients, the European Medicines Agency (EMA) closed the regulatory commitment to investigate in 2014, and SOT rejection as a potential risk was removed from the Risk Management Plan of adjuvanted (AS03) A/H1N1 pandemic influenza vaccines. The 2009 influenza A/H1N1pdm or ‘swine flu’ pandemic was caused by a novel strain of influenza virus with a unique combination of genes previously undetected in animals or humans . The first recorded human cases occurred in Mexico in February 2009. The World Health Organization (WHO) declared a pandemic situation in June 2009 , and by mid-2010, A/H1N1pdm influenza activity appeared to be decreasing. The 2009 A/H1N1pdm pandemic triggered unprecedented cooperation between health authorities, public health agencies and vaccine manufacturers, resulting in the most comprehensive global response ever undertaken. Efforts were coordinated internationally to maximise the speed of vaccine development, distribution and the establishment of mass immunisation campaigns. The European Union’s (EU) fast-track authorisation procedures, such as the ‘mock-up procedure’ and the ‘emergency procedure’, allowed faster deployment of vaccines, while newly developed mandatory conditions for post-marketing surveillance improved monitoring of vaccine safety [3, 4]. Strategies for pandemic-specific pharmacovigilance for vaccines in Europe included strengthening spontaneous reporting systems, defining adverse events of special interest to be closely monitored and simplified but more frequent (monthly) periodic safety update reports. Post-authorisation safety and effectiveness studies were required for all pandemic A/H1N1 vaccines approved in the EU. These included a compulsory safety study to be conducted by each manufacturer in 9000 subjects. This sample size would provide each study with sufficient statistical power to detect events with frequencies of 1:3000 or more [4, 5]. The health and economic benefits of vaccination are recognised by national and supranational vaccine-recommending bodies, and public awareness of the importance of immunisation programmes is generally high. However, when public concerns about vaccine quality, safety or effectiveness arise, the benefits of vaccination are often questioned. For this reason, potential issues around vaccine safety or quality need to be handled rapidly and transparently by informing and involving the public health community in effective ways. Openness and transparency in the exchange of information between vaccine manufacturers and other stakeholders is critical to maximise the safety evaluation of vaccines and to sustain public trust in them. To this end, interactions between the marketing authorisation holder (the manufacturer that licenses the vaccine) and regulatory agencies in charge of the evaluation and supervision of medicinal products are crucial, in particular in a critical public health situation such as the 2009 H1N1 pandemic. In 2010, the European Medicines Agency (EMA) requested an assessment of available data following a signal of solid organ transplant (SOT) rejection after immunisation with either of GSK’s two adjuvanted (AS03) pandemic influenza vaccines (Box 1). Our objective is to describe, in chronological order, the response and measures to assess this safety signal throughout a European procedure that included 4 years of interactions with regulators. In addition, we also share the lessons learned during that process, illustrating the complexity of signal evaluation in vaccine safety. A signal is defined as “information that arises from one or multiple sources (including observations and experiments), which suggests a new potentially causal association, or a new aspect of a known association, between an intervention and an event or set of related events, either adverse or beneficial, that is judged to be of sufficient likelihood to justify verificatory action” . Signal detection activities use all available data sources including spontaneous reports, review of the literature, clinical trials, and epidemiological studies specifically designed to evaluate the signal. Disproportionality analyses assess the frequency of a vaccine–event pair relative to background reporting in a pharmacovigilance database [42, 43] and aim to detect greater-than-expected reporting of vaccine–event combinations. Time-to-onset methods may be used to detect whether the distribution of the time-to-onset of a vaccine–event pair within a pre-defined period, days after vaccination, is different than what is expected for the reported time-to-onset distribution of the event of interest after other vaccines, and the reported time-to-onset distribution of other events following the vaccine of interest [43, 44, 45]. In response to the 2009 A/H1N1pdm pandemic, GSK produced two A/H1N1 pandemic influenza vaccines containing the AS03 adjuvant system: one vaccine manufactured in Dresden, Germany (Pandemrix), and the other in Quebec, Canada (Arepanrix H1N1). Pandemrix was authorised for use by the EMA in September 2009 via the fast-track approval process through the emergency procedure, which allows for fast-track approval (around 70 days instead of 210 days) after a pandemic has already been declared . Arepanrix H1N1 was licensed in Canada in October 2009 under an Interim Order that allows authorisation of a vaccine based on limited clinical data and imposed post-licensure commitments . Both products were extensively used during the 2009/10 A/H1N1pdm influenza pandemic and subsequently a limited number of doses of Pandemrix were used in the United Kingdom (UK) and Portugal due to a shortage of seasonal influenza vaccines during the 2010/11 season. Neither of the vaccines is currently in use, nor were they produced after 2010/11. Licenses for both vaccines have now expired. SOT recipients are considered a priority group for influenza vaccination due to their increased risk of severe and complicated influenza illness, including graft rejection [7, 8]. In 2010, the EMA requested a thorough assessment of available data related to SOT rejection after immunisation with adjuvanted (AS03) A/H1N1 2009 pandemic influenza vaccines. This request was triggered following several reports of SOT rejection after vaccination with Pandemrix in the EU [see Electronic Supplementary Material (ESM) 1.0] and by the results of a clinical case-cohort study presented at the 2010 Canadian Society of Transplantation meeting (later published in the American Journal of Transplantation ). The Canadian data suggested that Arepanrix H1N1 may increase the risk of high-grade rejection in cardiac transplant recipients. GSK proceeded stepwise, including medical assessment of cases of SOT rejection occurring during clinical development, exploring the evidence for biological plausibility, quantitative analyses, review of the literature and ultimately, a post-authorisation safety study (PASS). At the time the signal emerged, hypothetical immunological mechanisms for an increased risk of SOT rejection following vaccination with adjuvanted (AS03) A/H1N1 2009 pandemic influenza vaccines had to be explored to determine whether there was any biological plausibility for the signal. From a theoretical perspective, immunological events that induce an innate or inflammatory response could lead to an increased risk of immune cell infiltration into the graft, induction of allo-responses and graft rejection. Three hypotheses by which such responses could be induced were identified: the adjuvant would have to either induce a systemic inflammatory response that reaches the graft (hypothesis 1), migrate directly to the graft and induce inflammation at the graft site (hypothesis 2) or reach the graft-draining lymph node and in turn, activate tissue-specific alloreactive T cells (hypothesis 3). Animal studies conducted as part of pre-clinical vaccine development and to investigate the action of the AS03 immunostimulant, and a study in humans on immune response to vaccination were reviewed to shed light on whether any of these mechanisms were plausible. Approximately 5000 subjects received GSK’s adjuvanted (AS03) A/H1N1 2009 pandemic vaccines and an additional 11,000 subjects received adjuvanted (AS03) A/H5N1 vaccines in clinical trials . This large dataset was reviewed to identify any report of SOT rejection. In addition to qualitative signal detection methods (i.e. based on clinical evaluation of spontaneous data reported), various quantitative methods are available to vaccine manufacturers to quantify safety signals. We used disproportionality analysis (DPA) to identify any vaccine–event pair (A/H1N1-AS03—solid organ transplant rejection) as a signal relative to background reporting in GSK’s global safety database (see ESM 2.0). An observed-versus-expected analysis  was then performed in 2010 to assess how the number of reported cases compared with expectations under the null hypothesis of no association with immunisation. There is no direct measurement of the number of people with functioning SOT who have been immunised against pandemic 2009 A/H1N1pdm virus. We therefore estimated this number using transplant registry statistics and vaccine coverage data (see ESM 3.0). The observed rate of SOT rejection following vaccination was compared with published data on graft survival (Table 1). As spontaneous reports of SOT rejection were mostly reported to GSK for Pandemrix, only this vaccine was considered in the observed-versus-expected analysis. The peer-reviewed literature was accessed regularly throughout the investigation. Per regulations, GSK routinely conducts weekly literature reviews for Individual Case Safety Reporting (ICSR) and signal detection. Specific query browsing of two databases (Embase, Searchlight) was conducted for the relevant outcomes. In addition, similar periodic searches were performed in PubMed, Embase and Cochrane library to identify new articles on the risk of SOT rejection associated with influenza vaccination (seasonal and pandemic), including targeted searches using three broad search strings: transplant, influenza, and vaccination. Inclusion and exclusion criteria stated no language limits; no publication date limit; studies excluded if they did not refer to transplant patients or mixed immunocompromised patients without segregated information per type of condition; original studies and reviews/meta-analysis were included. Letters to the editor, editorials, case reports or comments were also considered. Titles and abstracts from the database searches were screened and any articles considered relevant were assessed in depth. Finally, as per a request from the EMA to identify suitable settings to conduct pharmacoepidemiological studies to further investigate the signal, a multi-country feasibility assessment was conducted. Data generated in mice with high doses of AS03 (1/10 human dose in mice, equivalent to 250 times the human dose on a weight/weight basis) indicated that AS03 improved the response to antigens localised to the vaccine injection site but not to antigens distant from it (injected in the contra-lateral side). A direct inflammatory response induced by AS03 (as measured by induction of NF-κB) was only detectable in muscle at the injection site and local draining lymph nodes, and not in lymph nodes remote from the injection site, or in distant organs (e.g. liver). These data indicate that hypotheses 2 and 3 are unlikely . A toxicology study in mice showed that there is some transient systemic exposure to AS03 components after vaccination, with very low levels detected in several organs including the liver and kidney (up to 7.3% of the mean injected dose) compared with levels in the draining lymph node (approximately 100–350% of the mean injected dose) . It is unlikely that these components are active at this stage after dissociation of the emulsion. Transient increases in systemic neutrophil counts, fibrinogen concentrations and lower albumin/globulin ratios observed in rabbits within 3 days after immunisation had returned to normal levels after 4 weeks . A study of the (AS03) A/H1N1 2009 pandemic influenza vaccine (Pandemrix) administered to 18- to 65-year-old subjects (N = 178) showed pronounced lymphoid responses within 24 h of vaccination, including transient upregulation of interferon-γ . Marked changes in the gene expression of peripheral monocytes were associated with early increases in cytokine and chemokine concentrations in blood, which returned to baseline by Day 7. The presence of autoantibodies prior to vaccination was associated with post-vaccination adverse events, but not an increase in autoantibodies . In a review published at the time of the signal, Duchini et al. suggested that the infectious agent rather than the inactivated vaccine is a cause of rejection and that effective immunisation could actually be protective. Altogether, these studies do not suggest strong evidence of biological plausibility for an increased risk of SOT rejection after immunisation with an AS03-adjuvanted vaccine. The clinical database included one report of corneal transplant rejection in an adjuvanted (AS03) A/H5N1 vaccine trial. The event was reported by the patient, but was not confirmed by the treating ophthalmologist. Apart from this unconfirmed report, there were no other reports in any of the 28 clinical trials. However, the number of subjects with SOT in these clinical studies must have been very small, partly because of some exclusion criteria such as immunosuppressive or immunodeficient conditions or chronic administration of immunosuppressants or other immune-modifying drugs within 6 months of study enrolment. Therefore, no definite conclusion was possible from this data source. As this topic was part of a regulatory commitment, routine literature searches included transplant rejection as a potential risk following vaccination with pandemic H1N1 influenza vaccines using a more targeted approach. Weekly literature reviews were performed for ICSR and signal detection. Two databases (Embase, Searchlight) were browsed using specific queries for the relevant outcomes. In addition to these routine searches, the epidemiology team also performed regular literature searches in PubMed, Embase and the Cochrane library in order to address the EMA Q&A, and also developed the protocol and interacted with experts in this field. In order to find relevant articles on the risk of transplant rejection associated with influenza vaccination in transplant patients, three search strings were used, namely on (i) transplant, (ii) influenza, (iii) vaccination. No language limits were applied. No publication date limit was applied. Studies were excluded if not describing transplant patients or describing mixed immunocompromised patients without segregated information per type of condition. Original studies and reviews/meta-analyses were included. Letters to the editor, editorials, case reports or comments were also considered. Titles and abstracts from the database searches were screened and articles considered relevant were assessed in depth. Initial reports described cases of SOT rejection temporally associated with adjuvanted (AS03) A/H1N1 2009 pandemic influenza immunisation in kidney recipients in Germany and Switzerland [15, 16] and heart transplant recipients in Canada . One published report also described SOT rejection in one pancreas transplant recipient immunised with a non-GSK adjuvanted vaccine . By contrast, other studies conducted in Switzerland, Belgium, Spain, Germany and Canada in patients with lung , kidney [19, 20], liver , pancreas and heart transplants [22, 23] reported no evidence of increased risk of rejection. Most of this research evaluated antibody responses to the vaccines and overall safety, rather than clinical rejection as an outcome. All studies were descriptive and based on relatively limited sample sizes and displayed substantial heterogeneity between study populations/case series. Furthermore, the association between immunisation and clinical rejection is difficult to assess because there are multiple risk factors for rejection, including infection, co-morbidities and lack of compliance with immunosuppressive treatments. A prospective cohort study of 216 SOT recipients and 138 controls published in 2012 concluded that there was no evidence of an adverse effect of Pandemrix in SOT recipients. The prospective nature of this study accounted for some of the challenges of retrospectively collecting transplantation/rejection data that confronted the majority of studies conducted after the pandemic . A review of published studies on the immunogenicity and safety of seasonal and pandemic influenza vaccinations in SOT recipients concluded that vaccination is safe in transplant recipients and that immunisation remains the main preventative strategy in these populations . Several other studies concluded in line with these findings, suggesting that influenza vaccination after SOT is clinically safe and well tolerated [24, 26]. A second review noted that while there is some evidence linking influenza immunisation to transiently increased laboratory measures of cellular alloreactivity, clinical evidence from large studies indicate that influenza infection, rather than immunisation, is associated with a risk of allograft dysfunction . Elevated rates of clinical rejection or allograft dysfunction are not generally observed in vaccinated patients [25, 27]. Various methods are available to quantitatively detect safety signals. Routine weekly DPA (e.g., Du Mouchel’s Multi-Item Gamma Poisson Shrinker method ) did not identify any vaccine–event pair suggestive of SOT rejection as a signal relative to background reporting in GSK’s global safety database. The outcome of the DPA is shown in the ESM 2.0 (Data Lock Point: 19 November 2010), in which eight case reports were included in the analysis. Medical Dictionary for Regulatory Activities (MedDRA) preferred terms (PTs), shown in the ESM (2.0), were the terms for which we identified a relevant outcome. Examples of relevant PTs used for the safety signal evaluation for transplant rejection are listed in the ESM (4.0). An observed-to-expected analysis  was subsequently performed in 2010 to assess how the number of reported cases compared with expectations under the null hypothesis of no association with immunisation. At the time of this analysis, there were 12 reports of SOT rejection in GSK’s global safety database (summarised in the ESM 1.0). We restricted the analysis to the kidney and liver because they were the only two organs for which more than two rejection cases had been reported at the time of the review. Together, these two organs were involved in 67% (8/12) of all reported cases. In the majority (91%) of reported cases of SOT rejection with time-to-onset data available, rejection occurred within 1 month following immunisation. Information from the toxicology study in rabbits suggested that changes in haematological parameters after immunisation with AS03 had subsided by 4 weeks , supporting a risk period of 1 month after vaccination. The observed-to-expected analysis suggested that the number of reported cases following Pandemrix vaccination did not exceed the expected number of cases when compared with the rate of graft survival derived from large transplant registries (Table 1). DPA and observed-to-expected analysis are preliminary tools used in the safety evaluation process. Although commonly used for rapid assessment, these analyses have limitations usually linked to a limited number of cases, underreporting, reporting biases, incomplete case details, the uncertainty associated with the theoretical risk period following vaccination and lack of robust estimates of the expected background rate in a population similar to the vaccinated, resulting in the need to use multiple assumptions. Considering these limitations, the feasibility of implementing a pharmacoepidemiological study, which is considered as more robust and would allow hypothesis testing, was investigated. Although the above investigations were reassuring, none were confirmatory and therefore it was important to further investigate the signal, considering that SOT recipients are a high-risk group in which vaccination would be recommended in future pandemics. Thus, the EMA requested a self-controlled case series (SCCS) be conducted using the UK Clinical Practice Research Database (CPRD)  and an assessment be made of other datasets available to GSK, including the post-authorisation safety studies of Pandemrix in Sweden  and Arepanrix H1N1 in Manitoba (Canada) (unpublished). The outcome of the feasibility assessment indicated that within the timeframe imposed by the EMA, an SCCS was implementable in the CPRD. Results of this study have been published elsewhere [31, 32]. In brief, a consistent range of odds ratios around 1.0, and upper 95% confidence limits around 2.0, suggested no evidence of an increased risk of SOT rejection (primarily for kidney and liver) following immunisation with Pandemrix in England. A short summary of this regulatory variation is available on the EMA website . Methodological limitations of the CPRD study have been discussed in the original manuscripts [31, 32] and are mainly linked to the retrospective nature of the study design, the complexity of the outcome for which not all risks factors and potential confounders could be accounted for and the fact that some organs were under-represented because they are less commonly transplanted . However, this study had several strengths. It was the first pharmacoepidemiological analysis to formally assess the risk of SOT rejection following vaccination with an adjuvanted H1N1 2009 pandemic influenza vaccine and provide robust and powered analysis. The SCCS design implicitly controls for confounders not varying with time such as healthcare seeking behaviour, access to care, frailty and severity of underlying conditions, also precluding indication bias. In particular, the analysis used the SCCS for perturbed post-event exposure that handles fixed measured and unmeasured confounders while taking into account that the occurrence of rejection might modify the probability of being vaccinated. While awaiting for the results of the CPRD study, the EMA requested the feasibility of conducting a complementary field-based study be considered with the intent to overcome some limitations of the CPRD study. Therefore, while the CPRD study was ongoing, we explored the availability and relevance of suitable study populations to explore the risk of SOT rejection following vaccination with (AS03) A/H1N1 2009 pandemic influenza vaccines using primary data collection. The following considerations were used to determine in which countries a thorough feasibility assessment could be conducted: review of the available literature; number of spontaneous reports by country as recorded in GSK’s global safety database; population size of the countries and/or vaccine coverage in countries where Pandemrix or Arepanrix had been used; number of transplantation centres affiliated with the European Society for Organ Transplantation in European countries in which Pandemrix was used and time and logistical constraints. The primary focus was countries in which large numbers of vaccine doses had been deployed and from which spontaneous reports had been received. In addition, the assessment was performed in countries in which transplantation centres or transplant registries were available and where the expected number of annual transplantations for the organs of interest was deemed sufficient. To this end, we queried GSK’s global safety database and as of September 2013, 25 spontaneous reports of transplant rejection following vaccination with Pandemrix were recorded (Table 2). These cases were reported from Denmark, Finland, Germany, Sweden, Switzerland and the UK. The MedDRA search terms are provided in the ESM 4.0. Of note, no spontaneous reports had been received from Brazil. Nevertheless, this country was among the handful of countries in which a large number of Arepanrix doses were distributed during the 2009 H1N1 pandemic , which also placed Brazil as an appropriate candidate in which to perform the feasibility assessment. Once preliminary countries were identified (UK, France, Germany, Canada and Brazil), the feasibility assessment was designed to support the final decision-making on the viability of conducting and obtaining meaningful results from a field-based study location. Country selection was further narrowed to Brazil and the UK as potential candidates. Reasons for excluding the other countries included, but were not limited to, the very low response rate from the German and Canadian sites, together with low Pandemrix coverage in transplant recipients in European countries  and the recommendation in France to vaccinate immunocompromised patients, including SOT recipients, with unadjuvanted vaccines . Several study designs were considered with the intent of overcoming some of the limitations of the SCCS in the CPRD. A matched case–control design was considered appropriate, with matching aiming to include subject characteristics such as type of organ transplant, time since transplantation and drug regimen, to provide a comparator, as these factors would be expected to be recorded in medical charts. Nevertheless, the extended feasibility assessment ultimately failed to show that a matched case–control study would be viable in either the UK or Brazil. This was because very few (five out of 30 approached) UK sites were willing to participate, mainly due to time constraints, which would likely have resulted in an underpowered study precluding any meaningful conclusions. Furthermore, a field-based study in the UK involving five sites might not have added further value to the CPRD study. In Brazil, the availability and accuracy of vaccination records could not be validated, which would have potentially led to selection bias and misclassification of exposure. Therefore, a multi-country study in Brazil and the UK was not considered to be an appropriate option to further explore the SOT rejection signal. This ultimate feasibility assessment highlighted the multiple challenges in finding suitable settings to assess the risk of transplant rejection following vaccination in a sufficiently robust manner. These challenges related both to logistical aspects and to availability of critical data. This extended and thorough feasibility assessment was submitted to the EMA, which after review concluded that additional studies to complement CPRD data were no longer warranted. This decision was informed by all available evidence, none of which suggested an increased risk of SOT rejection following vaccination with adjuvanted (AS03) A/H1N1 2009 pandemic influenza vaccines. This evidence included the results from the aforementioned CPRD study and the accumulated published scientific literature indicating that influenza vaccination of transplanted patients was considered clinically well tolerated. We used a multi-pronged approach to investigate the safety signal of graft rejection in SOT recipients immunised with Pandemrix or Arepanrix H1N1 identified in 2010. The evaluation included intense qualitative and quantitative signal strengthening and validation, a retrospective pharmacoepidemiological study with sufficient power to detect an association between SOT rejection and Pandemrix and an in-depth assessment of the feasibility of conducting a complementary study using primary data collection. Investigation of the AS03 mode of action in animals and investigation of immune responses to (AS03) A/H1N1 2009 pandemic influenza vaccine in humans using systems vaccinology did not indicate a prolonged systemic inflammatory response to AS03, nor accumulation of AS03 in tissues remote from the injection site, either of which may have suggested biological plausibility for an increased risk of SOT rejection. There was no increased risk of transplant rejection in the CPRD study, nor in the observed-versus-expected analysis, despite the transient presence of AS03 components in organs including the liver and kidney observed in mice. This could imply that the presence of adjuvant components may not directly lead to an increased risk, thereby not rendering credence to the theoretical biological plausibility. More recently, a 5-year multicentre study presented at the 2016 American Transplant Congress, based on 511 transplanted patients with confirmed influenza, showed that annual vaccination and early antiviral therapy were protective against severe sequelae of influenza . Pandemrix and Arepanrix H1N1 were manufactured in the context of the A/H1N1pdm 2009 pandemic and are no longer licensed. These vaccines were neither in use nor produced after the 2010/2011 influenza season, meaning that any epidemiological study would have been retrospective in design. 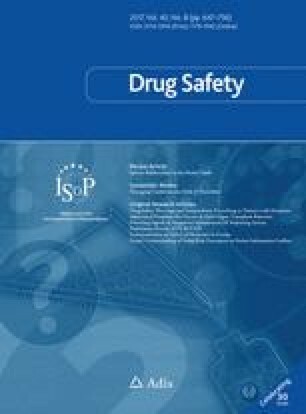 The signal investigation activities were undertaken step by step over a 4-year period, considering various data sources and the careful medical review of the 25 spontaneous cases reported in GSK’s global safety database. Quantitative analyses did not suggest that SOT rejection was reported at a higher frequency with these vaccines than for other vaccines. An observed-versus-expected analysis conducted in 2010, when 12 cases had been reported, suggested that the observed graft survival after Pandemrix immunisation was not lower than the expected rate (Table 1). To overcome some limitations of the CPRD study, we investigated, as requested by the EMA, the possibility of conducting a field-based study with the purpose of taking better account of risk factors associated with SOT rejection. Ultimately, suitable countries/infrastructures where such a study could be rigorously performed, while providing added value in comparison with the CPRD study, could not be identified. However, in light of the findings of the CPRD study [31, 32], and the accumulated body of evidence during the post-pandemic period including continually updated literature reviews, the safety of the pandemic influenza vaccination in SOT recipients was well supported. This cumulative reassuring body of evidence prompted the EMA to recommend closing the regulatory commitment in May 2014. Continuous dialogue with regulatory authorities (i.e. through several rounds, over the period of the investigation, in response to queries by the vaccine manufacturer and assessment reports from the regulators) is critical in the rigorous investigation and resolution of a safety signal. A thorough investigation requires a multidisciplinary approach using preclinical, clinical and epidemiological sciences. In the evaluation of the SOT rejection signal, it was essential to review the body of evidence extensively to understand the plausible mechanisms that would support any association between vaccination and this specific and clinically complex outcome and to select appropriate approaches and study designs to address the issue. Furthermore, we also appreciated the need to perform thorough feasibility assessments before initiating a pharmacoepidemiological study, in order to be able to produce a robust response in a realistic period of time . It is difficult to definitively conclude on potential relationships between a vaccine and an adverse outcome. While we attempted to scrutinise data available from multiple sources, we had to rely mainly on existing retrospective data, because the H1N1 pandemic virus emerged sporadically and vaccines were administered only during a single, limited time period. Moreover, the AS03 adjuvant is not currently included in other marketed vaccines, limiting the opportunity to implement prospective studies. Based on pre-clinical data and a study conducted in healthy adults, we did not find strong evidence of biological plausibility for an increased risk of SOT rejection after immunisation with an AS03-adjuvanted vaccine. Nevertheless, several studies conducted in transplanted patients have documented histological evidence of acute antibody-mediated rejection (in cardiac transplant recipients), or the development of anti-HLA antibodies (in kidney transplant recipients) [15, 16]. However, neither study was designed to assess whether these observations were coincidental or associated with vaccination. In addition, none of these studies assess the risk of transplant rejection comparing vaccinated and non-vaccinated subjects. Passive adverse event reporting requires the action of healthcare providers and it is likely that some cases of SOT rejection after Pandemrix or Arepanrix H1N1 immunisation may not have been reported to GSK, thus underestimating the true number of case reports. An in-depth and multi-faceted investigation conducted over approximately 4 years, including the conduct of a retrospective pharmacoepidemiological study, with close interactions with the EMA in order to assess the safety of adjuvanted (AS03) pandemic influenza vaccines administered to SOT recipients, eventually led to the closure of a safety signal of SOT rejection in transplanted patients. The uniqueness of this signal evaluation came from the fact that the initial signal was triggered by a relatively low number of case reports and the critical need to be able to provide a robust multi-component answer to the safety profile of pH1N1 influenza vaccines in this target population. The broad range of tools used to comprehensively address regulatory requests and the ultimate closure of the signal is uncommon to the best of our knowledge. The resolution of this investigation was essential as this patient population is recommended as a priority group for pandemic and seasonal influenza vaccination, due to the elevated risk of complications associated with infections caused by influenza viruses. Pandemrix and Arepanrix (and Arepanrix H1N1) are trademarks of the GSK group of companies. The authors thank the teams at GSK who participated in the investigation, in particular François Haguinet, Dominique Rosillon, John Logie, Dave Webb and Germano Ferreira. The authors thank Robbert Van Der Most, Mark Doherty and Arnaud Didierlaurent for their critical review of the manuscript. The authors also thank Joanne Wolter (independent medical writer, on behalf of GSK) for providing writing services and Business & Decision Life Sciences platform (on behalf of GSK) for editorial assistance and manuscript coordination. Bruno Dumont coordinated the manuscript development and provided editorial support. All authors participated in the step-wise evaluation of this safety signal and to the development of this manuscript. All authors had full access to the data and gave final approval before submission. GlaxoSmithKline Biologicals SA took in charge all costs associated with the development and publication of the present manuscript. Gaël Dos Santos reports he was employed by Business & Decision Life Sciences on behalf of GSK at the time of the study and is now employed by the GSK group of companies. Harry A. Seifert, Vincent Bauchau, Dominique M. Barbeau and Catherine Cohet are employees of the GSK group of companies. Gaël Dos Santos, Harry A. Seifert, Vincent Bauchau, Dominique M. Barbeau and Catherine Cohet hold shares in the GSK group of companies as part of their employee remuneration. Vivek Shinde reports he was employed by GSK at the time of the signal investigation and is now employed by Novavax Vaccines, and holds shares in the GSK group of companies. Ethical approval and patient consent were not required during this investigation. World Health Organization. World now at the start of 2009 influenza pandemic. http://www.who.int/mediacentre/news/statements/2009/h1n1_pandemic_phase6_20090611/en/index.html. Accessed 1 Apr 2012. European Medicines Agency. Authorisation procedures. http://www.ema.europa.eu/ema/index.jsp?curl=pages/special_topics/q_and_a/q_and_a_detail_000080.jsp. Accessed 9 Apr 2016. Public Health Agency of Canada. Archived. Lessons learned review: Public Health Agency of Canada and Health Canada Response to the 2009 H1N1 pandemic—Public Health Agency of Canada 2010. http://www.phac-aspc.gc.ca/about_apropos/evaluation/reports-rapports/2010-2011/h1n1/f-c-vaccin-eng.php. Accessed 16 Jun 2016. European Medicines Agency. Pandemrix. Procedural steps taken and scientific information after the authorisation. http://www.ema.europa.eu/docs/en_GB/document_library/EPAR_-_Procedural_steps_taken_and_scientific_information_after_authorisation/human/000832/WC500038125.pdf. Accessed 8 Feb 2017. Kumar D, Cordero E, Blumberg E, Limaye A, Levi M, Danziger-Isakov L, et al. A 5-year multicenter evaluation of seasonal influenza infection in transplant recipients. Am J Transplant. 2016; 16(Suppl 3). http://www.atcmeetingabstracts.com/abstract/a-5-year-multicenter-evaluation-of-seasonal-influenza-infection-in-transplant-recipients/ Accessed 8 Feb 2017.